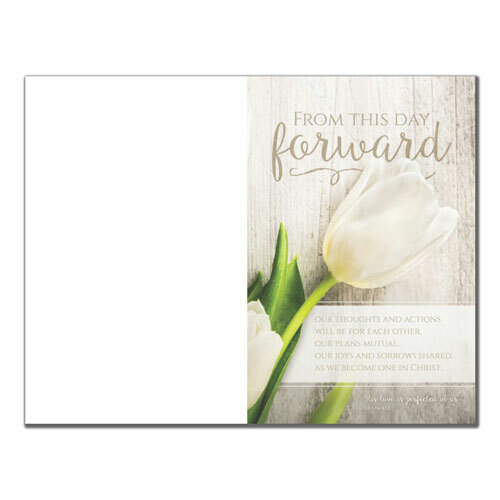 Wedding program paper design 6369 has a screened in wood background with a calla lily. 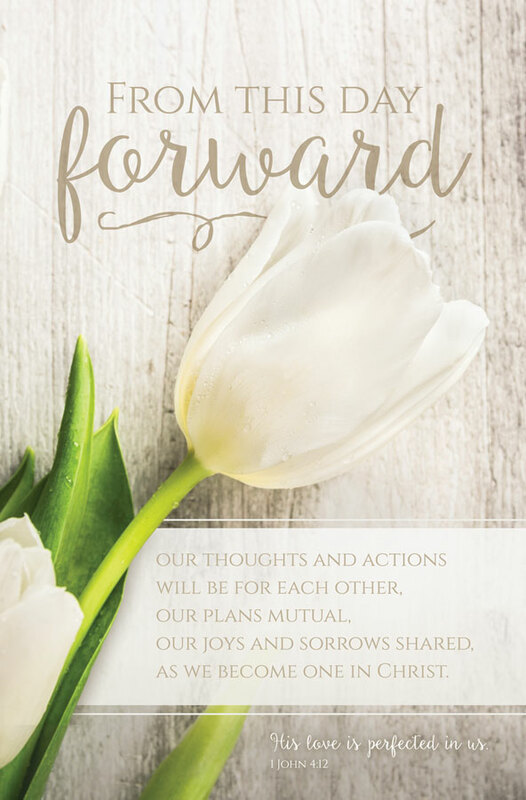 Wording on front reads, From This Day forward our thoughts and actions will be for each other, our plans mutual. Our joys and sorrows shared, as we become one in Christ.